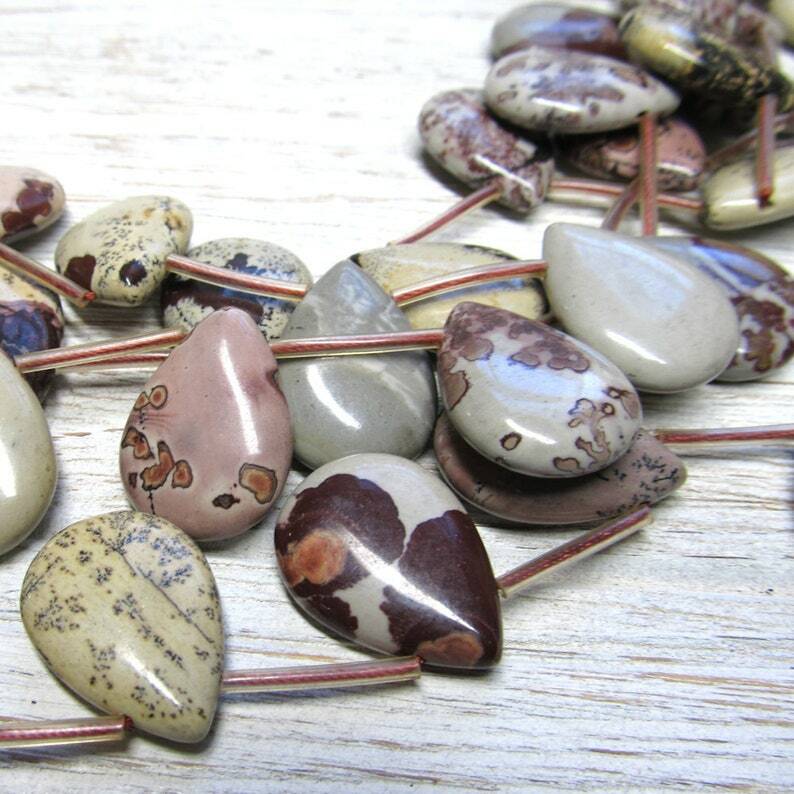 This listing is for 8 pieces of gorgeous smooth jasper 25 x 18mm natural stone beads that are a cornucopia of colors. No two beads are the same but each one is unique in their variances. Every dollop, splash or splotch is in natures colors of red, brown, cream, grey, & maroon. They are all quite lovely to behold. wonderful item. I can't wait to use them.